Deborah Carr has been a freelance writer for over a decade, with articles published in newspapers, magazines and other special publications. Her genre is creative non-fiction, her passion is Atlantic Canada, and her specialties lie in nature, conservation and people profiles. Often, her own photography accompanies her articles. 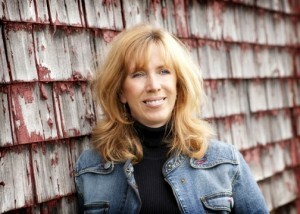 Her freelance website is www.deborahcarr.ca; her writing workshops and blog can be found at www.natureofwords.com. Sanctuary was released in October 2010 by Goose Lane Editions. 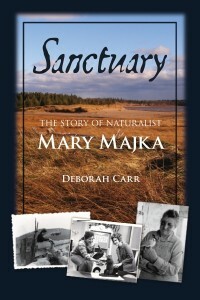 It’s a story about Mary Majka, one of Canada’s great pioneering environmentalists. In this amazing story of determination and foresight, Deborah Carr reveals a complex, indomitable, thoroughly human being — flawed yet feisty, inspiring and inspired. Sanctuary is now entering its second printing. The book has been shortlisted for the Atlantic Independent Bookseller’s Award, along with Sheree Fitch’s Pluto’s Ghost and Johanna Skibsrud’s The Sentimentalists, this year’s Giller Prize winner. Clearly you spent hours and weeks interviewing Mary (and others) in order to flesh out her story and build her character. Tell us about the process. Yes, it was seven years from the time I started. Mary and I set aside Thursday afternoons for the interviews. On some days, it was a cozy talk with a wise old friend. On other days, it was frustrating, as Mary has a dominant character and is used to assuming control of any given situation. As a freelancer on a deadline, I’m used to managing the flow of an interview, so this was a difficult adjustment for me. However, once I dispensed with my own agenda and timetable, then made myself ready to receive and accept whatever the day brought, I received remarkable stories and insights. Sometimes, I came home after four hours with a half page of typed notes. Other days, I came home with 16 or more. As well, interviews might be interrupted by a phone call, a flock of cave swallows, or visits from some of her many friends. When these interruptions came, I spent that time logging details about the day: what she was wearing, the room, the weather, my thoughts and opinions, etc. At the time, I didn’t realize how valuable this information would become in helping recreate the short vignettes from our interviews at the beginning of each chapter. With her permission, I also took photographs of the house and surroundings, to help call back necessary details that I might otherwise overlook. People often ask about my methods of note-taking. I’m a very fast typist and this has been a tremendous asset as an interviewer. I was able to transcribe most of my interviews with Mary as she spoke, with a digital recorder for backup. I didn’t have to spend time later transcribing and also, reading them over (and over and over), I was able to pull Mary’s speech patterns into my head, which allowed me to recreate dialogue in her authentic voice. I love the way your book is structured. Starting each chapter with first person account as you are interviewing her then sliding into her past is seamless. It’s downright brilliant. How (and why) did you decide to structure the book this way? Much of Mary’s early life in Europe could not be corroborated; she lived her teen years separated from her family and most people from that time in her life are dead now. So, I needed the reader to be clear that these were Mary’s memories. I also wanted to reveal the Mary who I witnessed during our interviews, who ran the gamut from gracious to pugnacious within minutes. How could I bring these differing points of view together seamlessly? The vignettes also allowed me to pull the reader into her story, so they could experience something of what I experienced being there with her, and also to fill in valuable details that couldn’t be shuffled into the main narrative flow. Maintaining my perspective. I struggled for a long time because I just couldn’t seem to ‘get her’. There just seemed to be parts of her character that didn’t make sense to me. In the end, I realized that it wasn’t my responsibility to figure her out and tie her all up into a nice clean package. I just had to tell her story with all its complexities and contrasts, leaving it up to the reader to draw their own conclusions. Once I stopped trying to be a psychologist and concentrated on being a storyteller, many of the pieces did fall into place for me and I ended up with a remarkably rich story that had much wider universal appeal that I originally imagined. Mary’s life is a tremendous example of how, by following her heart and using her own unique gifts and acquired skills, she was able to lead a satisfying, purposeful life. And it was particularly meaningful for me, as she was 38 years old when she started her new life on Caledonia Mountain…when she first began following her desires of her heart and crafting a life for herself on her terms, without succumbing to what society expected of her. I was 38 when I resigned from a career with the federal government and started pursing a writing career. There were actually a number of remarkable parallels between Mary’s life and mine and when I consider all the life lessons I have gained from entering Mary’s story and writing the book, I am awed and humbled. I think the most important lesson was to simply write. Regardless of whether you think your words are good or not, just write. Second, make time to dream. We are raised to believe that dreaming is frivolous, a waste of time, but writers and artists need to make time to dream and not feel guilty doing it. My best lines, most profound thoughts and my most ambitious ideas come to me when I’m in the bathtub, eyes closed, toes relaxed, mind drifting. Or on a stroll through the woods. And my greatest breakthrough in how to structure the book came on a ferry ride across the Bay of Fundy (on my way to visit Sandra Phinney! ), when I had nothing else to do, but let my mind drift over the story. Deborah, Sanctuary is one amazing read. I’m sure readers will have questions and comments for you so I’m going to step aside and encourage them to have their turn! It’s simple folks. Simply click on comment and let your fingers fly. Thanks for sharing your journey through this book. I think I need to print out your “lessons learned” to remind me to do the same. Hope you have a lot more writing and dreaming ahead of you. Congrats, Deborah, for having the focus and dedication to stick with one project for 7 years! Don’t know whether I’d have the tenacity to do that. I’m working on a series, and that may take that long from start to finish. But there will be editions published along the way, so I have something to hold and encourage me to move forward. Hope you’re coming to the PWAC conference in Montreal. It’s about time we met! And thanks, Sandra, for continuing to being us fascinating author profiles. I love them! Thank you so much for the chance to do this, Sandra…and also to Doreen and Heather for your encouragement. On my own blog, I’ve written a bit about what it means to me to have the support of fellow writers and how they are the treasure that underlies the career we’ve chosen for ourselves. I enjoyed this interview very much – especially the encouragement to just write! And it also makes me even more excited to read Deborah’s book! Sandra, it’s so nice to “meet” you, and I absolutely love this interview with Deborah. This book, the story, and Deborah herself , have all been instrumental in keeping me a believer in dreams coming true. Thank you, Sandra, for a lovely interview! 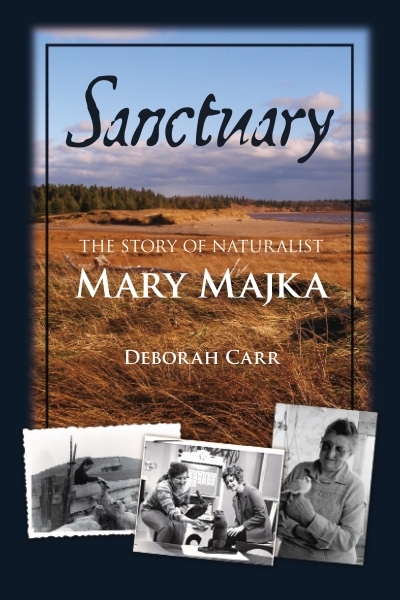 Deb, I especially liked what you said about allowing ourselves time to dream–I agree, it’s regarded as indulgent–and also about surrending to the role of storyteller in the course of writing Sanctuary. So challenging to deliver a living voice through another voice, but you pulled it off with such sensitivity, not just for narrative but also for language. 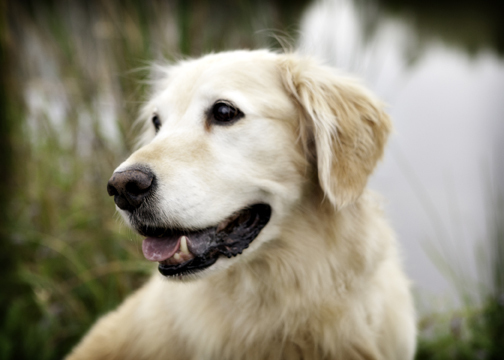 Oh, and may I add, I love the stunning picture of Callie! Thank you so much for taking over this blog, Deborah as it introduced me to Sandra and once again you inspired me to keep writing. I’m also so very glad you took the risk and started writing full time as well as delved into Mary’s life and let go of your own expectations and restrictions to write her story. My! You have your own skill at writing and interviewing. I am so glad to come and get more of Deborah here. Thank you. I am so amazed that Deborah spent 7 years on this one project. What a picture of perseverance. And, oh! Hasn’t the payoff been remarkable?